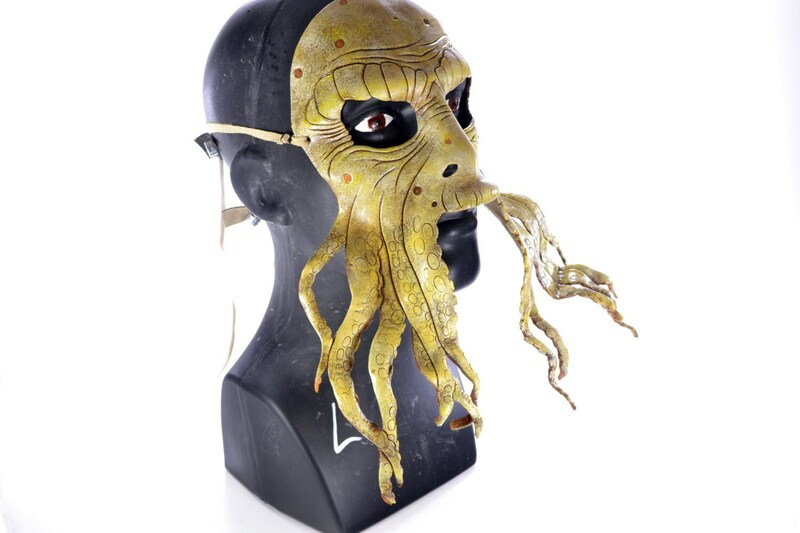 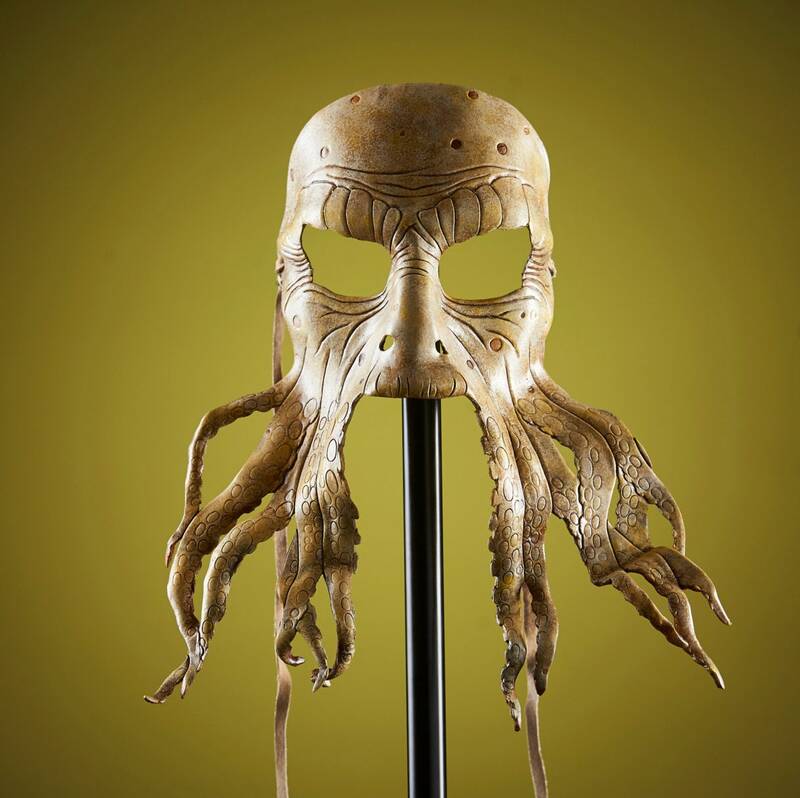 This mask was inspired by Davy Jones. 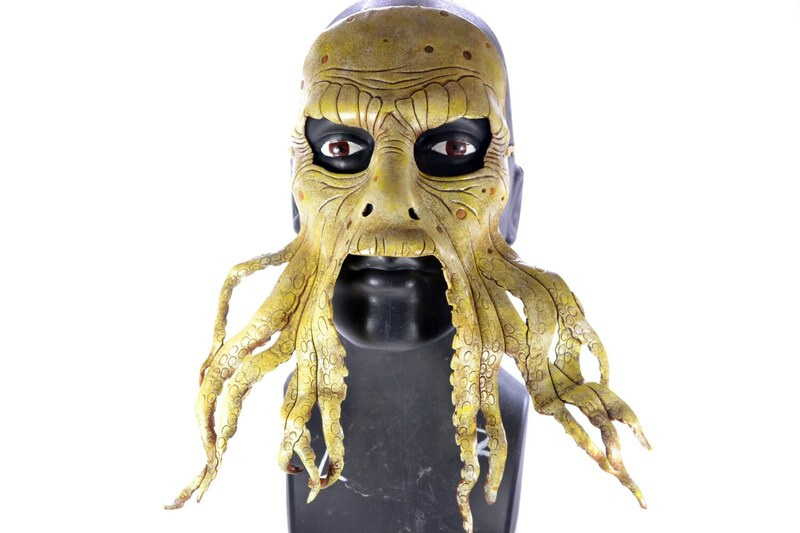 Made to look as though your face is the octopus, where the top lip is intended to cover the top lip of the wearer. 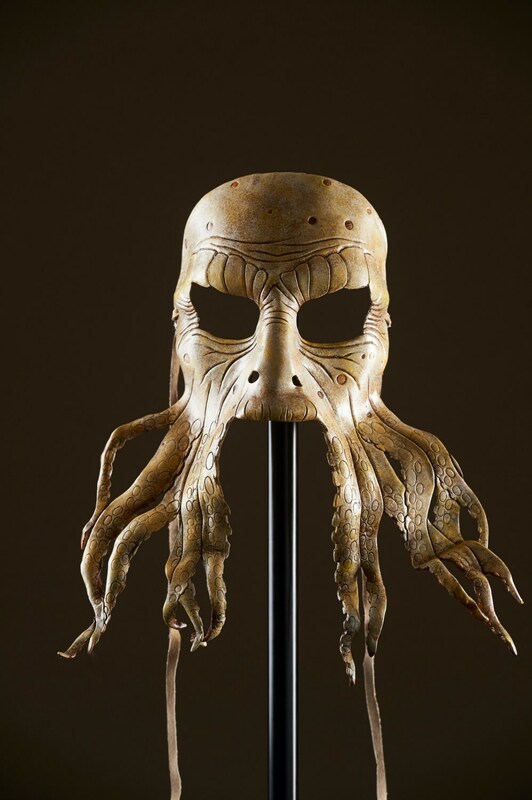 This mask does restrict motion in the left and right turning of the head, as the tentacles touch your shoulders. 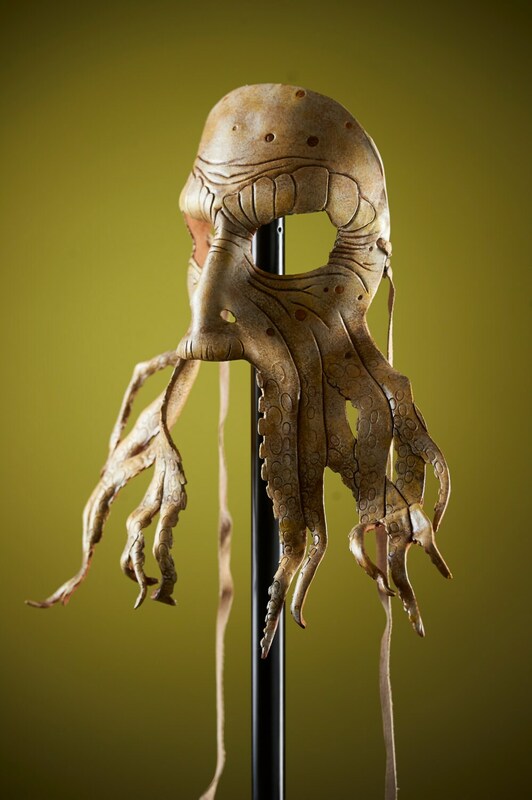 It is not to the extent that you cannot move your head, but it is restricting.Due to the nature of this mask, and the length of the tentacles, it is very difficult to exactly replicate the bend and shape of the tentacles from mask to mask, so the mask you receive may vary slightly from the picture.